For cord cutters and streaming lovers, 2019 will mean two things: A raft of new streaming services will hit the scene, and users will see major changes to viewing libraries. Get ready for even more Netflix competitors this year. Two major new streaming services will launch this year from Disney (DIS) and WarnerMedia, the parent company of CNN. That means more movies, TV shows and originals, but also greater stratification. Here's what to look out for in 2019. Netflix (NFLX) remains he undisputed king of streaming. But many of the service's most popular shows are licensed from other providers. "Friends," which is owned by WarnerMedia, is one example. As new streaming services come online and licenses expire, you might run into holes when searching for your favorite shows on Netflix. Recognizing the upcoming shift, Netflix has been spending billions of dollars on its own content including cheaper unscripted series. Netflix will dedicate even more resources in 2019 to originals such as "The Crown" and Oscar contenders like "Roma." The streaming giant is not shying away from a fight with the newcomers. CEO Reed Hastings recently told the BBC that the competition "makes us better." Plus with its huge subscriber base and the millions it pays in licensing fees, it's not clear that big studios and networks will actually take all their content off of Netflix. The company is also looking beyond its traditional markets and seeking new users who pay in rupees, pesos and euros. Netflix told CNN Business that it spent $1 billion on European content alone in 2018, including 81 original productions. The company has 221 projects slated for Europe this year, and it plans to open a new production hub in Spain. India will likely also see heavy investment and even more original content. Hastings said on an investor call in October that the market, with hundreds of millions of smartphone users, is primed for more Netflix subscribers. Though the company is branding itself more and more as a media company and less as a tech platform, and therefore not prone to the same criticisms as free services like Facebook (FB) and Google, it will almost certainly still find itself in the same harsh spotlight. The uproar in early January over its decision to drop an episode of Hasan Minhaj's comedy show in Saudi Arabia following a legal order is likely just the beginning. This year will see the unveiling of highly-anticipated new direct to consumer streaming services by some of the oldest names in media. Both Disney and WarnerMedia are expected to launch services later in 2019. Disney+ will feature content from its own vast library, as well as from popular brands including Pixar, Marvel, Star Wars, and National Geographic. Thousands of ABC network television show episodes will be available. The streaming service from WarnerMedia, which is owned by AT&T (T), will feature three tiers: An entry level service will be focused on movies, while a premium version will include original programming along with "blockbuster" films. A third option will include both of those services as well as a library of other WarnerMedia options and content licensed from other producers. 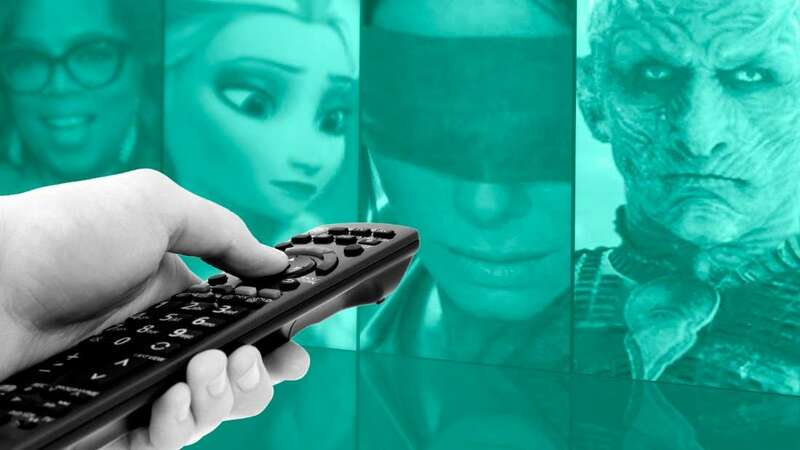 WarnerMedia and Disney+ both own plenty of popular shows that will help them attract audiences. But they also carry an important legacy business, and will have to balance investment in streaming with their traditional offerings. Not every legacy media company is jumping into standalone streaming services. Comcast CEO Brian Roberts told investors in October that streaming "is very challenging economically, and we don't want to rush into anything," though the president of its subsidiary media company NBC alluded to a possible streaming service in his end-of-year memo. Apple's foray into streaming is likely to hit sometime in the first half of the year. CNBC reported in October that Apple's new digital video service will be automatically installed on Apple devices and will feature free original content, as well as access to other services. Apple (AAPL) executives have also publicly said that they will focus on a few quality shows, hiring big names like Oprah and Reese Witherspoon, and they won't be jumping in with dozens of new series. While the company may not be investing at the same level as Netflix, its position as both a device maker and content creator could prove to be a valuable one. Though there have been some major investments in live sports streaming from the likes of Amazon and Google's (GOOGL) YouTube, the other big streamers have yet to completely jump in. That could be about to change. "All eyes will be on tech platforms to see if their growing content ambitions include exclusive sports rights, effectively the last 'jenga block' holding up the legacy media ecosystem," media analyst Richard Greenfield wrote recently. Greenfield said he expects the National Football League to strike more exclusive deals to air games with platforms like Amazon (AMZN), Apple or YouTube. It's not just huge movie studios like Disney that are getting into the direct to consumer game. Fox News launched a subscription service called "Fox Nation" last year to accompany — not replace — Fox News on cable. It's the first national news organization to charge a subscription fee for a standalone service, and 2019 will be an important barometer of its success. Expect the smaller niche markets try out new offerings, including a $4.99 per month streaming network from UK brewer BrewDog that will include programs about beer as well as comedy and game shows. Not all will survive. Popular niche streaming services, like the WarnerMedia classic film platform FilmStruck and DramaFever, a service from Warner Bros. that specialized in Korean dramas, shut down in 2018.